In 2003, Steve and Susie Perry founded the Sacred Harvest Foundation with the hope to bringing God’s shalom to the communities of Orange Country, Maui, and Mindanao in the Philippines. The logo of Sacred Harvest Foundation is a lima bean, which is representative of the crop that Susie’s family used to grow on their original home ranch in Costa Mesa, CA. 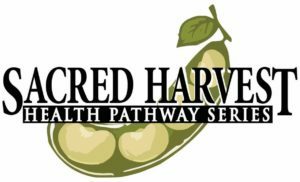 The name Sacred Harvest is a testament to the family that once grew an edible harvest of lima beans, and the fruits from the original farm that now produce an eternal harvest through the grant making of Sacred Harvest Foundation to faith based community service organizations. To assist in bringing God’s shalom to the communities of Orange County, Maui, and Mindanao in the Philippines with the resources God has Blessed them with. o To develop relationships with, support and invest in Kingdom leaders who are effectively living out God given passions and dreams and who are authentic and humble, so that they may flourish in their call from God. o To build up the capabilities and competencies in leaders and their ministries who are called to serve these communities. o To awaken, unleash and empower people’s calling as stewards of their time, talents & treasures and to create opportunities for people to find meaningful and significant service. o To involve our family and help them develop a passion for giving with generosity, humility and integrity. Sacred Harvest Foundation is a supporting organization of the National Christian Foundation and DOES NOT ACCEPT UNSOLICITED GRANT REQUESTS. 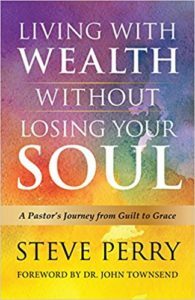 Steve served as Senior Pastor at Mission Lutheran Church (’84-’96), in Laguna Niguel, CA where Steve and Susie began developing their life philosophy and the theology for living generously as stewards of God. After years of faithful service as a pastor, Steve and Susie sensed God calling Steve into full-time philanthropy in support of the Church and others who could grow from their mentoring and financial support. 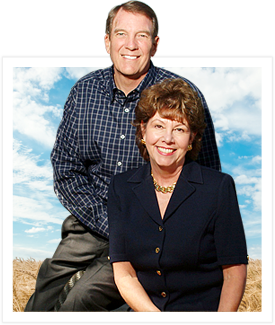 In 1996, Steve co-founded the National Christian Foundation California (NCF), and in 2003, Steve and Susie founded Sacred Harvest Foundation. Sacred Harvest Foundation became the outlet for their creative thinking and generous spirit. 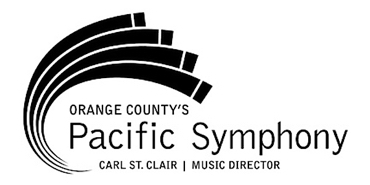 The organization’s team serves non-profits and churches in Orange County, CA; Maui, HI; and Mindanao, Philippines. For more than a decade, Sacred Harvest has helped to increase the capacity and impact of organizations within their network in order to develop a flourishing spiritual environment where people can prosper, all for the glory of God. Shalom can be described as salvation, completeness, wholeness, fullness and harmony. This is why our passion is to see these communities experience the fullness of God’s shalom. Essentially, it is the restoration and reconciliation of the human being to the image of God, as exemplified in the life of Jesus Christ, and to the world that God has created and loves. When individuals are transformed by God’s shalom, communities follow. We want to help communities flourish in the same way a tree planted by water flourishes as is portrayed in Psalm 1:3. It is our vision that communities might thrive, grow and experience reconciliation. We describe ourselves as “spiritual environmentalists” doing what we can to help create the right environment, so that it grows to accomplish God’s intended purpose. Finally, shalom results in individuals understanding their value to Christ. Dignity is more than recognizing that every human is born with value. Often, those affected by poverty, disability, sin and injustice have lost their dignity. Dignity demands that we have respect and honor for each individual simply because they created in the image of God. The Bible says, “Treat everyone you meet with dignity.” 1 Pet. 2:17 We never assume we are better, smarter or more valuable than others. As the proverb says, “Rich and poor have this in common: The Lord is the Maker of them all” Pr. 22:2. Most communities today are not experiencing “shalom,” but Jesus instructs his disciples to pray “Thy will be done on earth as it is in Heaven…” with the intent that shalom would be established all over the world. In heaven, God’s will is done perfectly. Here on earth, we’re asked to join God in bringing His shalom to bear on every part of life. Mission Increase Foundation draws upon a wealth of nonprofit experience to work directly with CEOs, board members, and the fundraising staff of ministries that are seeking to grow their organization. Mission Increase offer a combination of small workshops and seminars on multiple topics, as well as personal consultations to train ministries on a wide range of nonprofit organizational issues. Every day, the team at the National Christian Foundation helps generous givers simplify their giving, multiply their impact, and experience the joy of sending more to their favorite causes than they ever dreamed possible. So whether you’re passionate about more Bibles for your local church, more food for the hungry, more clean water, or more justice … start dreaming big. From the simplicity of the Giving Fund to the multiplying power of Asset-Based Giving, their creative solutions help givers experience less paperwork, fewer taxes, more joy, and more impact for the charities they really care about. NCF also serves professional advisors and ministries and churches in exciting and innovative ways. The result? Since 1982, they’ve sent more than $7 billion in grants to over 40,000 charities who are doing amazing work around the corner and around the world. Mindanao Equipping program started in 2012 with the purpose of helping ministries and Christian leaders to enhance transformation in the communities they serve. Sacred Harvest Foundation has created and implemented the Non-Profit Signature Series for Non-Profit Excellence, the Organizational Health Pathway and the Church Health Pathway. Through these three programs, Sacred Harvest Foundation is increasing the competency and capability of leaders to deliver impact. 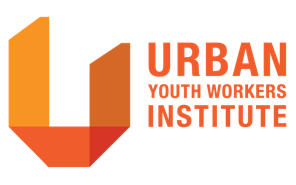 Organizational alignment and impact: We aim to assure the organization is committed to alignment to the mission, vision, governance and culture of the organization, in order to achieve sustainable and replicable transformation. Leadership: We care about leaders, and desire to see them experience improvement in their overall health (relationally, spiritually, emotionally, and physically), business skillsets, and ability to lead a healthy organization. Operational effectiveness and efficiency: We coach and train the organization to ensure it is equipped to successfully implement on strategic and operational plans.